C. V. Raman College of Engineering is a progressive institution in Orissa, setup to promote the highest standards of technical education in the state. The institution aims at molding a new breed of technocrats with the competitive edge to match both national and international standards. 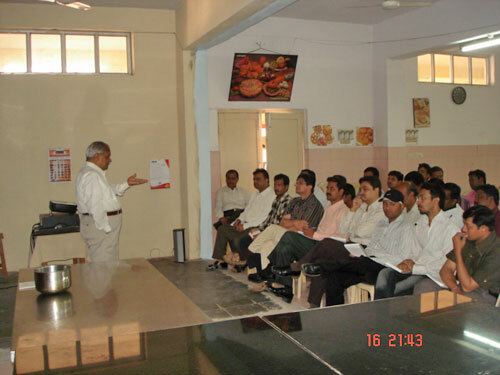 The college aims at educating the students to become not only competent professionals but also excellent human beings, who would contribute towards the welfare of the society and help in raising the quality of life of its people.Man’s desire to share his experience has given birth to many a temple of knowledge which have function not only as seats of learning but also as guardians of progress in all walks of life. The center of Knowledge are responsible to generate disseminate and spread knowledge in the domain of science and technology, Human values and social Economic pursuits. Diploma Ref. & A/C Mech. RIHC is located in the outskirts of the city of Bhubaneswar, Orissa, its beautiful campus is set on 100 acres of land, full of gardens, lawns and fountains. The campus is furnished with international standard hostel facilities both for boys and girls each accommodating 150 students, bank, post office, dispensary, playground, swimming pool , an ultra modern gym and a highly sophisticated canteen. The Institute has one of the finest libraries and resource centre with industry updated books and visual aids. Ranjita Institute of Hotel Management has a Cent Percent placement record for all students passed out till date. All students are placed in star category hotels both for Industrial Training as well as job placements. Library, Placement Assistance, Drawing Hall. Library, Placement Assistance, Cafeteria, Hostel.